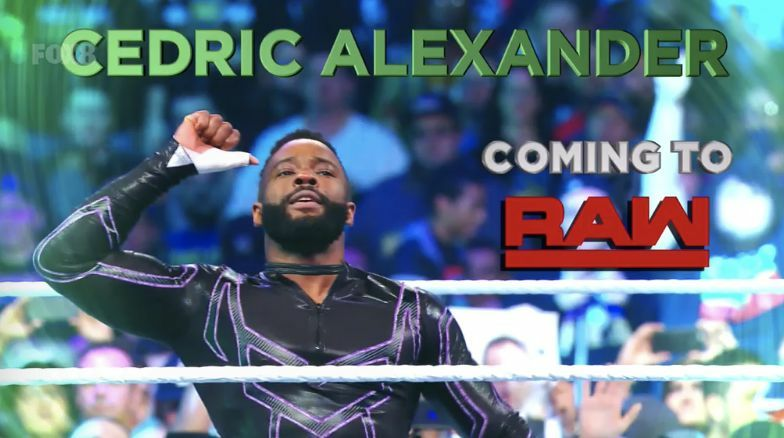 Cedric Alexander has earned the respect of both the fans and his peers as one of the best wrestlers in the world today. Armed with various springboard maneuvers and the back cracking Lumbar Check, the Soul of 205 Live has put away some of the best talents that the WWE has to offer. With a move to Monday Night Raw, the WWE Universe is excited to see what kind of matchups we'll get out of him. With both singles titles held by lighter competitors, it's not crazy to think that we can see the former Cruiserweight Champion add more gold to his trophy case by the end of 2019. After it was announced that Alexander would be making the jump to Monday nights, his colleagues took to Twitter to congratulate him. Both old enemies, friends, and the newest Cruiserweight Champion Tony Nese were excited to see Alexander leap into the fray on the flagship show. However, one superstar wasn't inclined to congratulate the former champion, opting instead to issue a deadly threat to Raw's newest high-flyer. The Star Destroyer has been targetting Alexander since being eliminated from the latest #1 Contenders Cruiserweight Tournament by the man himself. Before he officially leaves his original brand, Cedric Alexander will have to face off against the brand's newest brawler, Oney Lorcan. The Boston Butcher looks to make a name for himself by knocking off the Atlas of 205 Live. Alexander didn't seem worried, though, as he revealed in a Tweet after the announcement. The entire Raw locker room has been put on notice, as the newest member of the roster looks to kick off a new Age of Alexander. And if he can capture some of the magic that he had back in 2018, don't be surprised to see a long title reign come about.